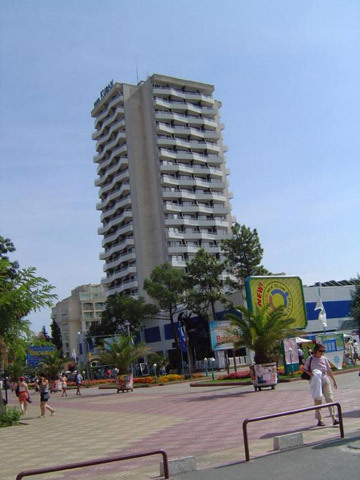 Sunny Beach is a world famous Bulgarian resort. 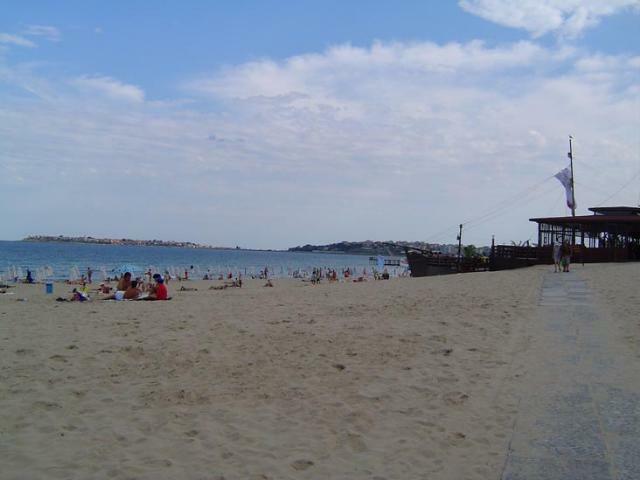 It is situated about 40 km north of Burgas and 430 km away from Sofia nearby the small arched bay of Nessebar. Its construction as a resort starts in 1958. 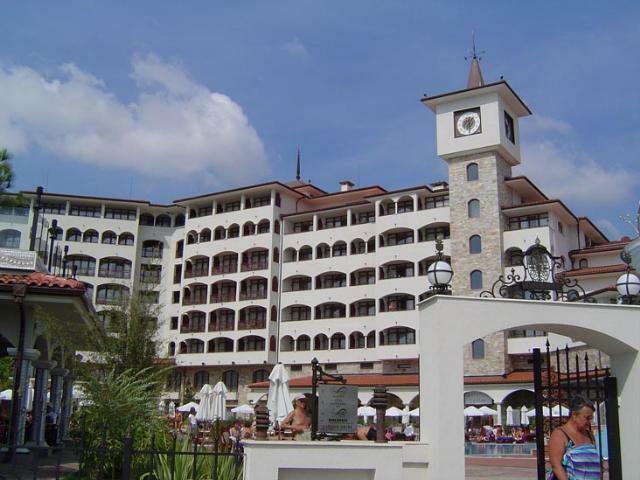 Nowadays the resort has at his disposal about 140 high rated hotels, two campsites and many places of entertainment. The beach is covered with fine golden sands; the dunes and the small forests contribute to the great picturesque view of the area. The sea bottom slope is shallow and suitable for bathing. Water and other sports of almost all kinds are well represented here – surfing, water skiing, tennis clubs, equestrian centre, bowling, indoor and outdoor swimming pools. The countless restaurants, taverns, coffee bars, pubs, clubs and discotheques guarantee a pleasurable holiday. 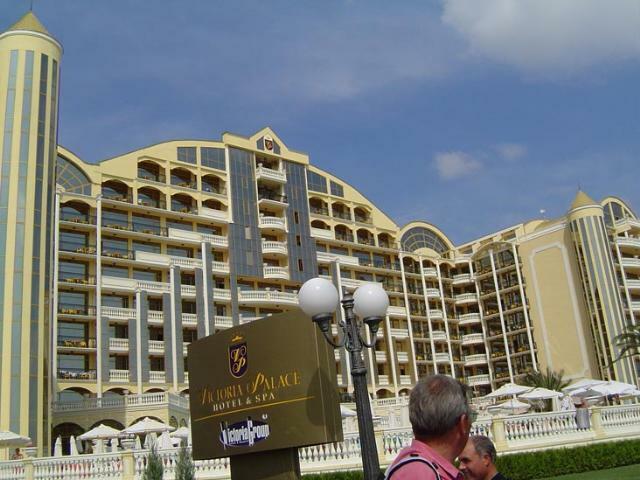 In the vicinities of Sunny Beach are located the Zora vacation complex, the villages of St. Vlas and Elenite, and the town of Nessebar almost connects to it.